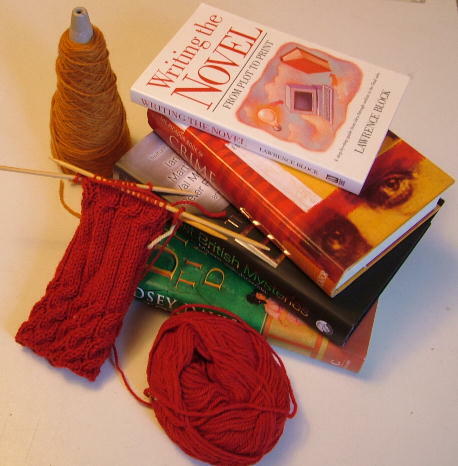 I have been randomly allocated the letter A by Roo over at Roo Knits so here are a few things I like beginning with that lovely letter. Apples - most versatile of fruits, loved by me in pies, cakes, on it own and turned into cider. Alpacas - they're cute and they produce great fibre - what's not to love. 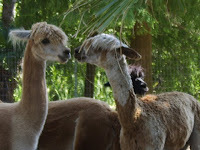 Here are some of the Shi'Loh Alcapas I met in Florida last year. Androids - I've always had a thing for androids - from Marvin the Paranoid to Data from Star Trek. I'm a geek, I admit it. Acorns - not sure where this came from but I love the look of these and the fact that whole oak trees grow from them. Perfectly packaged little nuts. America - Yes, I love all things American - the way of life, the climate (well, in some parts anyway), but mostly the people. Americans never do anything by halves. They just dive right in and immerse themselves in everything while we Brits are just dipping our toes in. People with great enthusiasm (bordering on obsession) are a delight to me. Aran Jumpers - remind me of when I was small and we used to wear the ones my mother knitted for us. Now I appreciate the skill involved (and still love the warmth). Aberdeen - my home town. Actually I only lived there from the age of eighteen until I was about twenty five, so only for about 7 years, but all of my family originate there and it if I were ever to move back to Scotland that's the area I would move to. The Granite City, the Garden City. Catch it on a good day - in the sunshine - and it's beautiful.